Two different kinds of avocados are available in supermarkets. The most common is the California avocado, usually the Haas variety. Florida avocados are larger than California avocados and lighter in color with thinner skins. The two varieties ripen differently, but problems can be encountered in both types. California avocados do not ripen completely while on the tree. Florida avocados sometimes ripen on the tree, if left long enough, but ideally they should be picked before reaching this point. Avocado ripening is confusing for gardeners who wait patiently for their avocados to ripen only to have them rot on the tree. The best policy is to begin picking one avocado at a time once they reach mature size. Place them on the counter to ripen. If the avocado does not ripen, wait a week or two and try again. Once the first avocado of the season ripens on the kitchen counter, begin harvesting the largest fruit first. The fruit will hold on the tree for a month or two without loss of quality. Eventually they will fall off the tree if not picked. One mistake that many people make is to store avocados in the refrigerator. Avocados are quickly damaged by cold and will not ripen properly when damaged by cold. Avocados picked too soon also will not ripen. This can be a problem because avocados mature over a period, with some avocados maturing before others on the same tree. For this reason, pick the largest avocados first as they are usually the most mature. Avocados ripen best on the kitchen counter at room temperature, approximately 60 to 75 degrees F. It takes three to eight days for avocados to ripen under ideal conditions. Speed up the process by placing the avocado in a paper bag or storing it next to other fruit. Under warmer conditions, avocados ripen too quickly and unevenly, damaging the texture and flavor. Colder temperatures damage the fruit, causing it to discolor and fail to ripen. 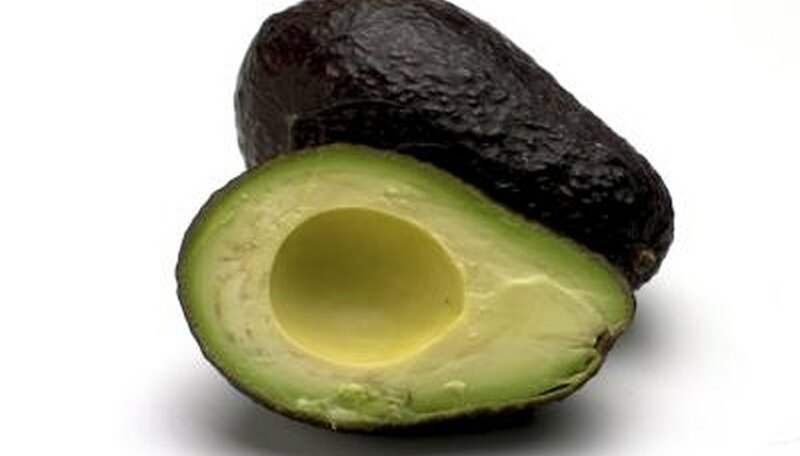 Some varieties change color as they begin to ripen, but avocado color is not an indicator of ripeness The flesh of a ripe avocado is soft and gives a little when pressed gently. The flesh is easily bruised and darkens with exposure to air.